I heart Pea. 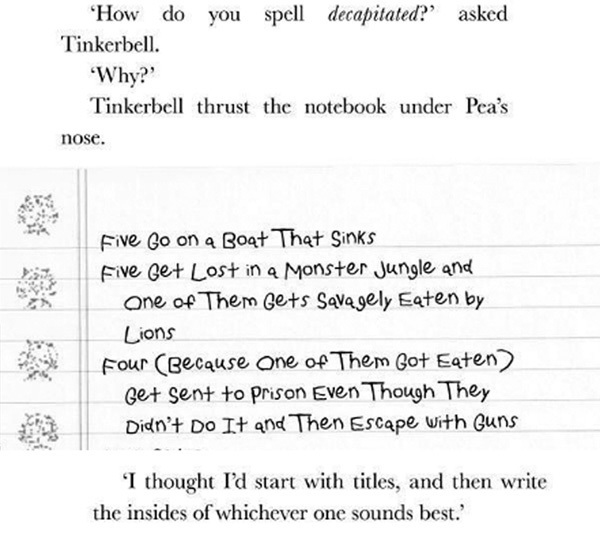 I have mentioned this before, in my review of the third in the series, Pea’s Book of Birthdays. Susie Day is such a great writer, she jam-packs her books with plot and fantastic characterisations. In this one, Pea and Tink’s planned holiday with Clem (Tink’s father) is scuppered by illness (his, not theirs), and their mother has hit writer’s block on her new series Pirate Girls (which I would totally read, by the way). Clover, the eldest, is off to Cheseman Hall, a drama camp, so that she can practise being a great actress. In a moment of inspiration, Pea decides that the best thing to do is to persuade her mum to take her and Tink (an avid Enid Blyton fan) to Corfe Castle in Dorset (an inspirational place for Blyton) in the hopes that some mythical Blyton Fumes will permeate her mother’s brain and help to get her writing again. There’s more to it than that, of course – there always is, where these fantastic books are concerned – but I can’t go into too much detail because it’d spoil the plot and I wouldn’t know where to stop! 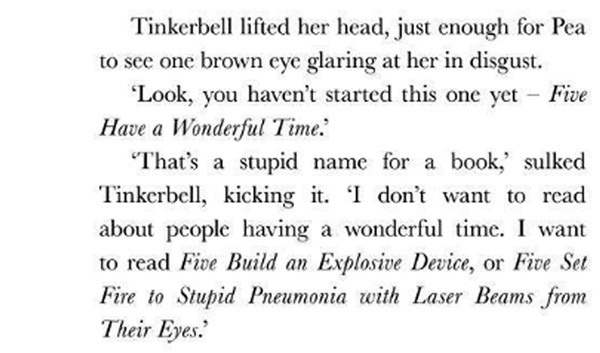 But basically, Pea is determined to give her younger sister a ‘proper Famous Five holiday’ despite her own reservations and doubts about the suitability and political correctness of Blyton’s books nowadays. And she’s also concerned about giving her mother enough space and peace to write, so she and Tink take Wuffly (renamed Timmy in honour of the Five) out a lot in the hopes of finding an adventure. What they find (apart from the fact that everything costs money, which is annoying) is a pair of brothers, Ryan and Troy, who are ghost-hunting with their dad. And after some misunderstandings and natural cautiousness, they join forces to hunt the Grey Lady ghost who has been sighted at Corfe. I loved Agents Ryan and Troy and their obsessions with walkie-talkies. I loved Clover and her attempts to put a brave face on her increasing unhappiness at drama camp. I loved the descriptions of Pea’s mum writing, with post-it notes promising retribution if she is disturbed during her work. I loved the Blyton-esque feel to the book, because I too was an avid fan of the Famous Five when young. And I loved the chapters towards the end, when things suddenly take a very serious turn and a light-hearted escapade becomes very dangerous indeed. 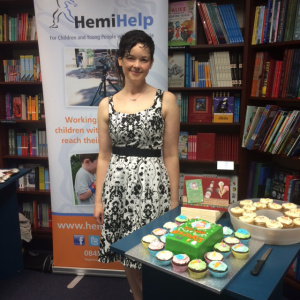 It’s also worth mentioning that Ryan has hemiplegia, a condition which apparently affects around one child in every thousand – a startling figure. This disability is not played up in the book, but as is only right and proper and realistic, it impacts on Ryan’s life and the lives of those around him. 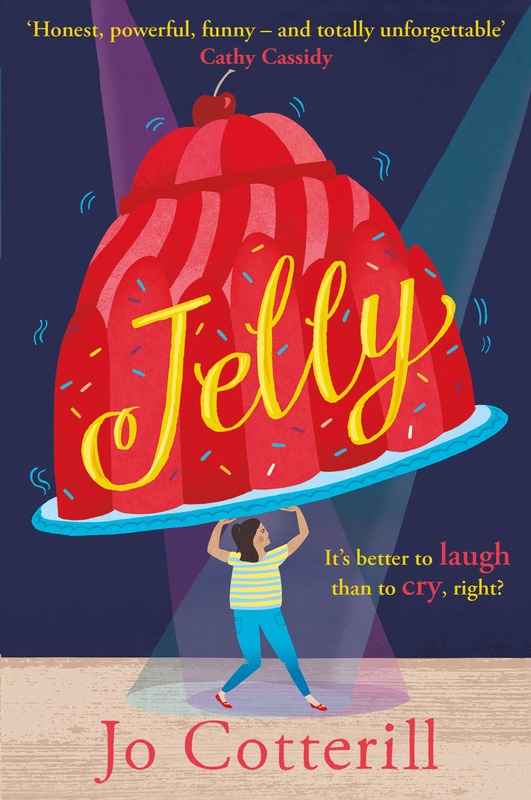 I knew nothing about hemiplegia before reading, and I suspect most of the young readers who pick up this book won’t either. We all know that not enough disabled characters are included in books, along with not enough ethnic diversity and not enough sexual diversity, and children’s books are almost MORE important than books for adults when it comes to broadening minds and providing different viewpoints and experiences. So hats off to Susie for including a character with a common disability that isn’t well-enough known, but not making him the ‘issue’ of the book. I’d also like to add that there’s something really cute about the size of these books. They’re smaller than the average paperback, and they fit nicely into the palm of my hand. So there’s a pleasure in handling them as well as reading them – double bonus! 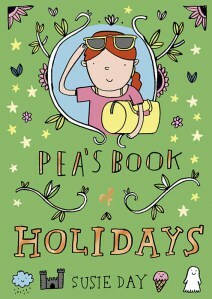 The Pea series is suitable for anyone aged 8 upwards.